Halloween arrives at Hotels VIVA! Although this celebration is more typical in the USA, UK or Ireland, it’s becoming more and more popular in Spain. That’s because this celebration isn’t just for kids, but also so adults have a good time. You’ve just got to choose your costume and head out onto the streets for the most terrifying night of the year. At our Hotel VIVA Cala Mesquida Resort we’ve organised a wide variety of activities and surprises, both for kids and for adults. That’s because this is a celebration for everyone! 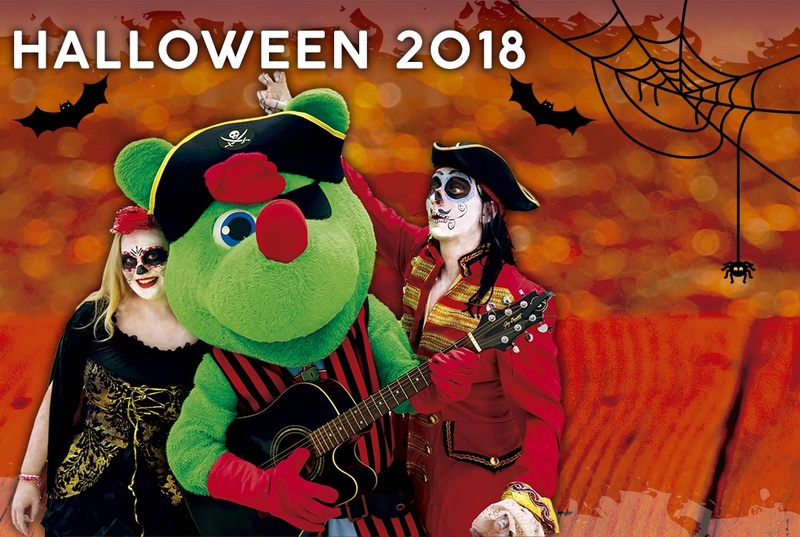 The little ones (4-7 years old) will be able to take part in costume and painting competitions, the tunnel of mini horror of the famous “trick or treat” game. The kids (8-12 years old) will also have activities suitable for their age: mask workshops, treasure hunts and bouncy castles are just some of the many surprises that will be in store for them during this weekend of terror. That’s not all – even the adults are catered for at this party. Mums and dads also have the right to a good time: Shake your skeleton in our yoga or Zumba classes, have a great time playing darts or tuck into our buffet – it’s to die for. Price: from €85,50 per person (full board plus) and Premium Apartment with a minimum stay of 2 nights. The first child between 2 and 12 years old goes free when accompanied by two adults. If you book 4 nights, the last one is FREE! What are you waiting for? It’s time to spend a freaky weekend at VIVA Cala Mesquida! Our Hotel VIVA Blue didn’t want to miss out and has also joined in for this terrifying night! If you stay here, you’ll also be able to play the fun medal game. The “maxis” (kids from 8-12 years old) can ride the mechanic bull, take part in face painting competitions and play a game of frightening footie. At Hotel VIVA Blue, the adults won’t ever be bored as we’ve got thousands of activities prepared for them: archery, ping-pong, aquatic fitness or dangerous cocktails competitions. Also, if you book between 26 and 28 October, you’ll be able to take advantage of lots of offers. Take a look! Prices from €78 per person (full board plus) and Premium Apartment with a minimum stay of 2 nights. The first child between 2 and 12 years old stays FREE when accompanied by two adults. Can you last the entire weekend without quaking in your boots?